In everyday life, people take precautions for safety and security, from password protection on phones to wearing seatbelts in vehicles. Moving day should be no different. To protect against theft and damage as you relocate your belongings, use these tips from UF Mover Guys! To protect your items during transport, you can pack and load them carefully. 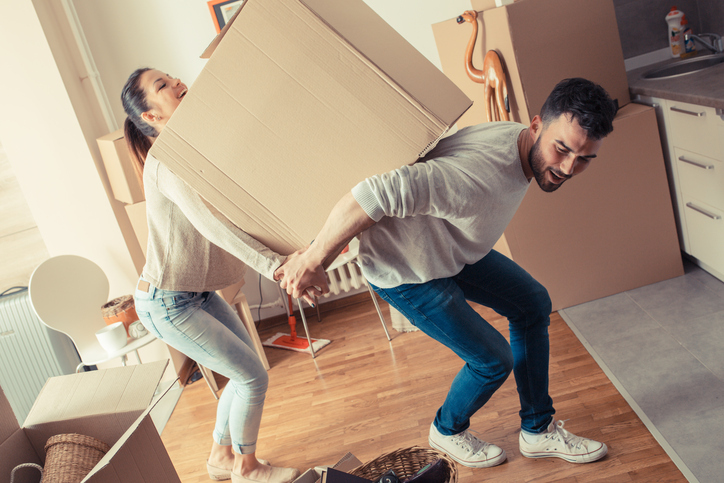 But to avoid damage to your new home, follow these precautions while unloading boxes. It’s not only bad for your back to lift a heavy box by yourself. Should you lose your grip, the box could easily dent a wall or crack a tile floor. To safely unload bulky items, team up with a friend or loved one to distribute the weight, or call our movers in Gainesville, FL. Not all doorways are the same size. A bookshelf that you carried with no problems out of your old home could just as easily get hung up on the door frame at the new house. Therefore a good adage to use when moving is, “measure twice, carry once.” After all, it takes less effort and money to disassemble furniture, thus ensuring it fits, than to repair damage to a home. Even though Gainesville is among Florida’s safest cities in most categories of crime, thefts still occur. 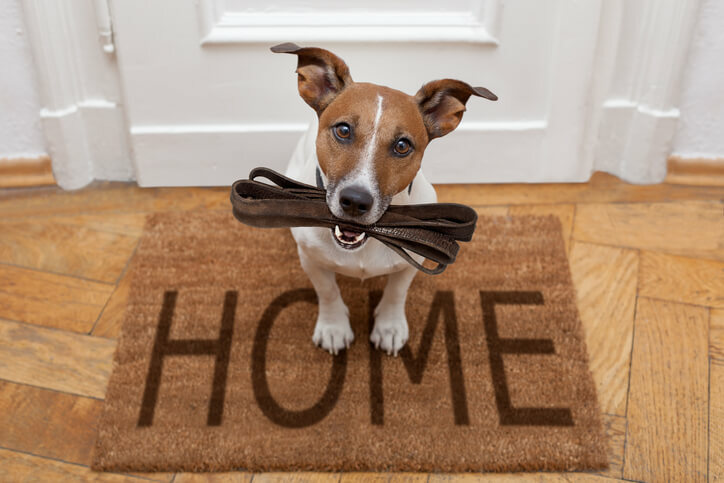 To avoid having your items being taken on moving day, use these security tips. A sprawl of boxes and items left unattended is like an open invitation to would-be thieves, who could be interested in anything from clothes to electronics. But organizing your items helps keep them safe from creeping burglars; it’s easier to keep track of boxes stacked together. For extra security, you can unload the truck one item at a time, locking the door between trips. How can you be sure the movers won’t drive off into the sunset with your possessions? The answer is to choose a trusted company with a reputation for competence and honesty. When you hire professionals to handle the move, you can relax and focus on other aspects of life. UF Mover Guys is a team of movers Gainesville residents have trusted for more than 10 years. Contact us for an estimate! As movers in Gainesville, FL, know well, people new to the city are often pleasantly surprised with the excitement of a college town, the cozy ambience of a small town, and the attractions of a large city, all-in-one. Of course, it can take a person quite some time to feel “at home” and develop an appreciation for all the city can offer, just as growing acclimated to any new setting is a time-consuming process. Since we help people move to Gainesville everyday, we want to share some insights on feeling at home in a new city. In Florida movers often advise newcomers that learning the names of major neighborhoods is the first step to discovering a city. In Gainesville, Downtown is the smallest but most prominent neighborhood, featuring such restaurants as The Top and attractions like Hippodrome State Theater. To the south and west of Downtown, respectively, are Sorority Row and Midtown, both of which border the University of Florida, where most UF athletics occur. Meanwhile, just west of UF is West Gainesville, a residential haven. And to the south and north of West Gainesville are the Archer Road and Northwest Gainesville neighborhoods, respectively. A moving company Gainesville, FL, residents trust is one that arrives on-time, but being punctual is often a matter of knowing which roads to take en route to a destination. Gainesville is built in grid-like patterns of roads, where those that include “street” or “terrace” indicate a north-to-south orientation, and “avenues” and “roads” run east-to-west. The city also has multiple prominent thoroughfares. For long-distance travel, residents use Interstate 75, which dissects the center of West Gainesville and traverses north-to-south through much of the state. Locally, Archer Road, which operates southeast-to-southwest through the Archer Road neighborhood, is a prominent throughway for commuter traffic. In Gainesville, moving companies are adept at relocating mountain and road bikes during local moves, particularly for UF students, because so many residents choose to bike around the city. Within the city limits, there are designated bike lanes juxtaposing most main roads, while there is also a diverse network of Gainesville bike trails. Making A Home in Gainesville. In the opinion of local movers Gainesville has a distinct look and feel compared to other areas of Florida. Thus, recent arrivals might feel more at home once they decorate their new residence in design themes that portray the culture and natural surroundings of Gainesville. Residents who wish to capture the essence of the natural environment, for instance, integrate muted green tones throughout their homes, echoing the colors of the plethora of trees and foliage found throughout Gainesville. People who admire the rich artistic culture of Gainesville, meanwhile, elect to outfit their homes with vibrant, multi-colored decorations. Even before hiring the services of movers, Gainesville, Florida, residents choose the type of housing they want. The city is home to a variety of options for housing, from residential homes in Northwest Gainesville to student apartments in Midtown and Sorority Row. There are also urban lofts, professional townhouses, and luxury apartments in Gainesville. But rather than merely finding a place to live, residents of Gainesville feel at home by selecting the forms of housing and communities that best fit their lifestyles. UF Mover Guys has earned a reputation as a trusted moving company for residents and students moving to, from, and within Gainesville. Our superior moving services account for a sizable share of the positive reviews clients post on behalf of our company. After all, we are full-service movers with professional training in packing, loading and unloading, and transportation. And our company also sells affordable moving supplies and rents out storage units and moving trucks. But the remaining portion of our positive reputation comes from people’s responses to our additional services, including free moving tips and advice on how to settle into Gainesville. Contact us to learn more about UF Mover Guys!